From city officials in Santa Fe to Bayou Vista, Friendswood to League City and all places in between, the message is pretty much the same. When it comes to mosquito complaints, call the county, not us. The recent hatch of the bloodsucking pests has everyone in Galveston County screaming for relief. In many cases, the people who answer the phones at the city halls are taking the brunt of the frustration. 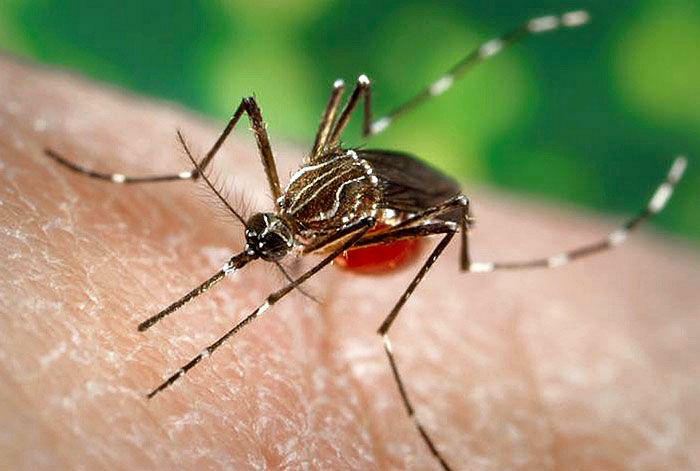 In Friendswood, the calls to city hall, city departments and council members have been so frequent the city issued a mass email Monday afternoon urging residents to call the mosquito control offices in Galveston and Harris counties. Santa Fe City Hall’s digital message board has been running the Galveston County Mosquito Control’s toll-free number continuously for about two weeks. In League City, a social media post reminding residents to call the county was followed by a flurry of comments from residents begging for relief in their neighborhoods. The county’s mosquito control office is just as busy. Calls to the office went unanswered most of the afternoon Monday, and at times The Daily News was unable to get through because the line was busy. Friendswood may be getting a double dose of communication trouble — the city is in both Galveston and Harris counties. Harris County mosquito officials don’t spray an area unless West Nile virus has been detected in birds there, Friendswood officials said. The city has its own mosquito truck, but it’s been busy just keeping the pests controlled at city facilities and city parks. So, the city hired a contractor to help spray the Harris County neighborhoods. The city called for help from Galveston County, too, but, according to the county’s schedule, Friendswood wasn’t on the list for aerial or truck spraying Monday or Tuesday. In Santa Fe, City Manager Joe Dickson said his staff started fielding calls two weeks ago. Those calls haven’t stopped. That’s why the message board scrolls the county’s number over and over again. In League City, spokeswoman Kristi Wyatt said the city hasn’t had many calls, but mosquitoes are the talk of the town. During an attempt to record the city’s weekly video update, Wyatt said she and producer Jenna Simsen were chased inside city hall. Wyatt said she posted a Facebook message reminding residents to call the county for spray schedules and to request spraying. That prompted a flood of online comments from residents calling for help in their neighborhoods. When the city responded that residents need to call the county, many — but not all — commenters directed their frustration elsewhere. Wyatt said she is hoping to create a positive out of it and will post a request seeking residents’ best suggestions to fight mosquitoes. County mosquito control officials said a recent high tide that flooded local marshes combined with recent rains created the bloodsucking swarm. How soon anyone can expect relief is unclear.